This week, with the weather having been a little cooler, it seemed the perfect time for the Past Present to turn attention to a popular picnic spot in the Sydney area. Bents Basin, which is a State Conservation Area near Penrith has a long history of being a popular destination for Sydney siders looking for beautiful scenery, peace, quiet, bushwalking and even swimming. 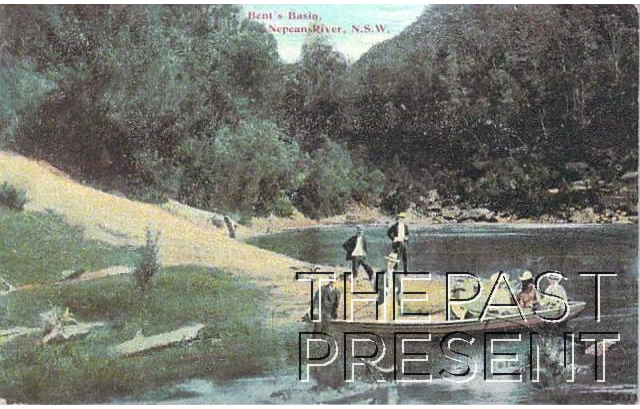 Bents Basin is what is known as a ‘scour pool’ – a geological formation created over a long period of time by repeated, fast flowing floodwaters which rush out of the gorge. The basin, which resembles a small lake, is up to 22metres deep and has long been popular for fishing, swimming and boating. The Aboriginal people of the Gundungurra, Dharawal and Durug people are the traditional owners of the area, and they know the basin as Gulger (which means spinning or whirlpool). According to local stories the basin is home to a terrible water creature called Gurungadge or Gurungaty, but none the less, it was also an important area for trading between the Aboriginal peoples. The first European to sight Bents Basin was Botanist and Explorer George Caley. 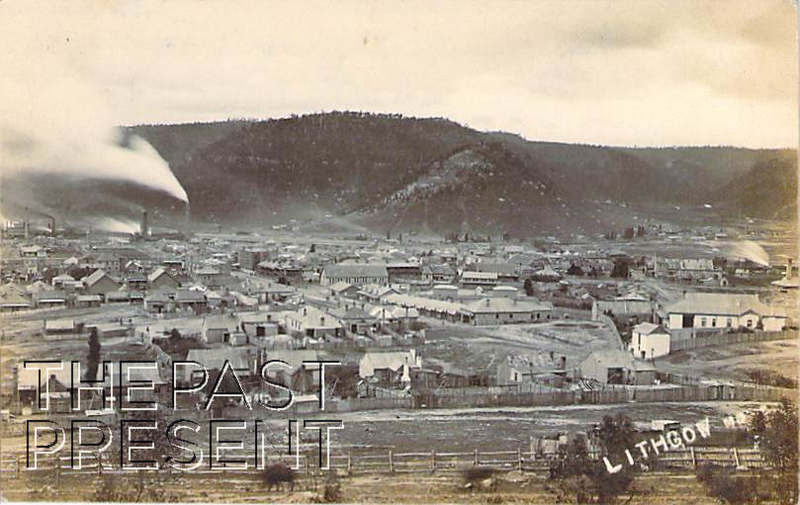 He visited the area in 1802, and later returned to collect plant specimens. Later still, early travellers used the basin area as a stop over on their trips east, and in the 1860s an inn was established. As time continued on, the area became popular as a picnic area and centre of leisure for many living in the Sydney Basin area. This week, with school holidays upon us, The Past Present is focusing on a holiday favourite – The Scenic Railway in Katoomba. This postcard, which dates to around 1935, shows the Scenic Railway in its early years as a tourist attraction. 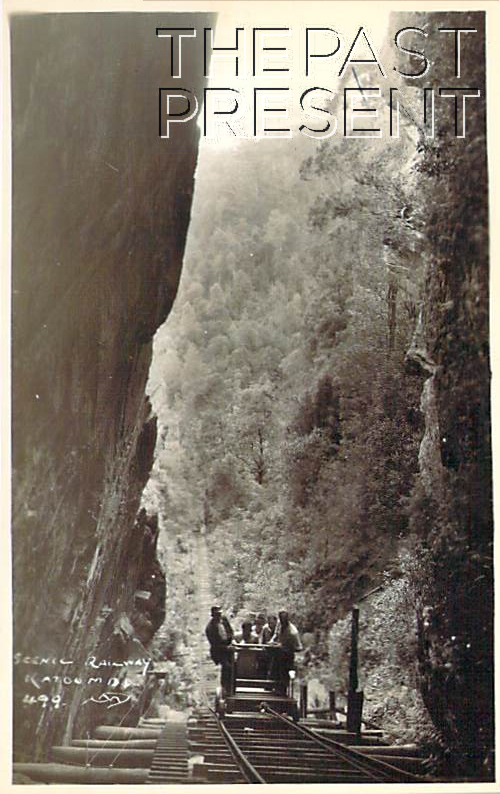 Although today we think of the Scenic Railway, the steepest incline tramway in the world, as a kind of tourist rollercoaster, it began its life as a working tramway, servicing mines. 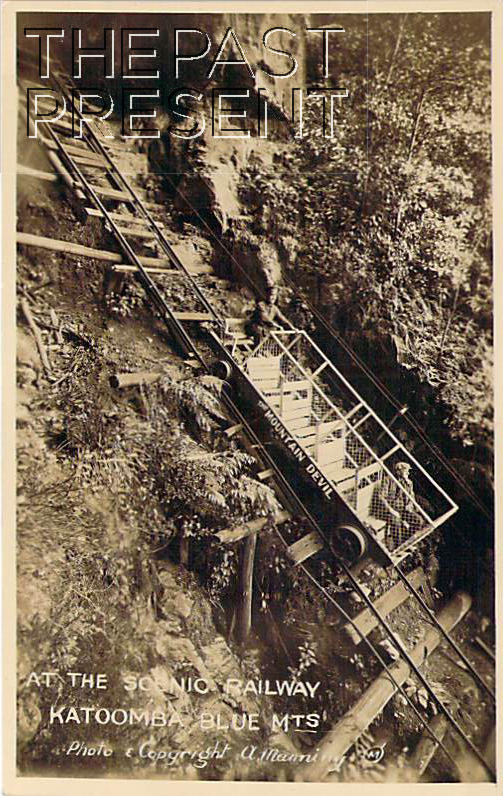 The Scenic Railway was just one part of a network of tramways which serviced kerosene shale and coal mines in Katoomba. The tramways were built to bring coal and kerosene shale to the railway siding which was constructed in 1882. By 1895, the mines in the area were struggling and when in 1925 the Katoomba Colliery was registered, the tramways were decrepit. The Katoomba Colliery aimed to reopen the mine situated at the bottom of the hill, and sell coal to the Katoomba Power Station, the local hotels and residents. They needed a way to get the coal to the top of the hill though, so they set about fixing up the tramway which became known as The Scenic Railway. In the late 1920s, the Scenic Railway had its first non-coal related passengers, a group of bushwalkers who were hauled up in a coal skip. Management realised the potential of the tramway and built seats into some of the coal skips. When The Great Depression struck, the mine closed, but the tramway continued to operate, now focusing on passengers and tourists. They replaced the coal skips with a specially built passenger car called ‘The Mountain Devil’. The rest, as they say, is history!